Lee Richard's is a family owned and operated fine jewelry store located in Pt. Pleasant, New Jersey. ​As the Owner, I consider my business to be like one of my children- it's important to ensure that all aspects of Lee Richards Fine Jewelry is handled appropriately and in a timely manner. As with most family owned businesses, we have worked hard to build our reputation and are proud to say that we have now been in business for over 22 years. 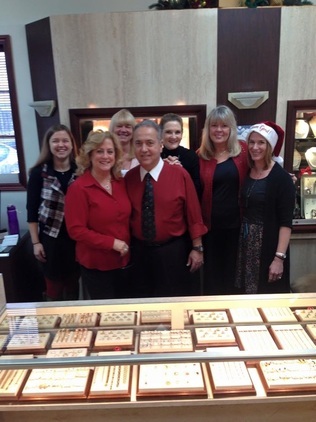 Customer service is the core of Lee Richards Fine Jewelry's success. We treat every customer the way we would want to be treated, in an effort to meet their objectives and more importantly, establish lifelong relationships. Our staff is fully trained and can assist you with finding that perfect gift for someone you love and have it wrapped and ready for your loved one. Stop into our showroom to say 'hello'. We're always happy to meet and make new friends.